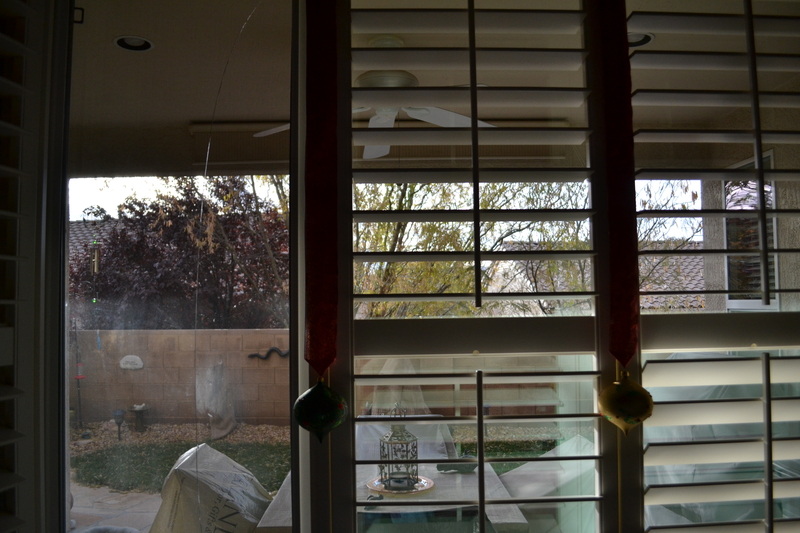 ST. GEORGE — The training exercises by airmen from Nellis Air Force Base in Southern Utah have rattled residents in recent days, but some SunRiver residents apparently felt the boom up close and personal with reports of cracked windows. “All of the sudden you hear this boom, and then all the sudden it cracks,” Charles Rose, SunRiver resident of two years, said. Rose and his wife were in their living room one evening when he said the house rattled as an airplane flew above their home. A cracking noise led him to inspect his windows. 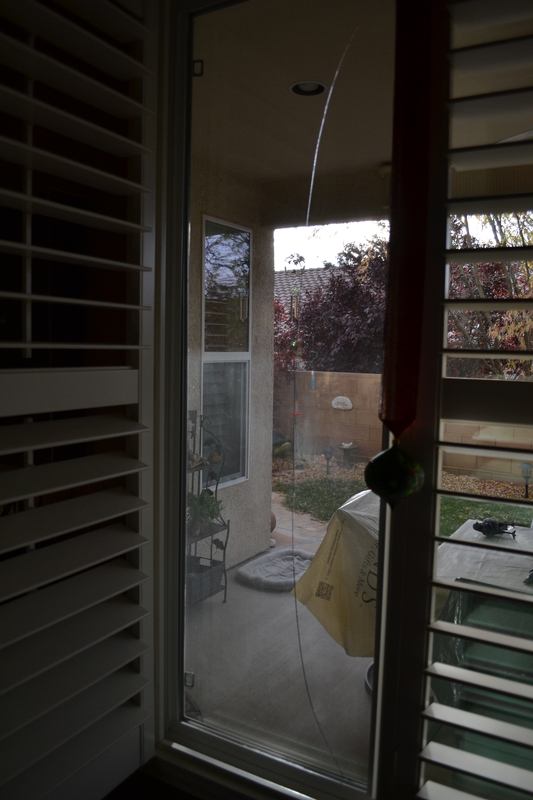 A window facing into his backyard had a vertical crack in the glass running the length of the window. “There’s a few people in this area that have received cracked windows,” Rose said. He mentioned the experience to some of his golfing buddies, also SunRiver residents, who said they, too, noticed cracked windows after the rattle of overhead military aircraft. The booming noise produces visible vibrations in the windows, Rose said. “I’m not saying it can’t happen, but I’ve never personally heard of that,” Brad Kitchen, St. George Airport Operations Supervisor, said when asked about the broken window. However, Kitchen is regularly exposed to the coming and going of military aircraft at the airport, and he said exercises involving Mach speeds are tightly regulated by the military in residential areas. Kitchen suggested the boom could as easily be a result of mining operations from an adjacent gypsum mine. Rose also mentioned the mine as a possible culprit to the booming noises, but he said it is much more apparent during the military flyovers. In fact, the Western Minerals mine just south of SunRiver employs tools to mitigate noise from blasts, mine manager Ken Thompson said. “It’s not breaking sound barriers or breaking windows,” he said of the blasts. Thompson said he has received complaints before but he said Western Minerals has gone lengths to ensure the blasts do not disturb residents. One particularly skeptical neighbor was brought to the mine to observe and hear the blast up close, Thompson said, and upon detonation, the blast didn’t even register on the measuring instrument, whereas hitting the ground with a shovel did register. “It’s easy to blame somebody else,” Thompson said. And the blame seems more likely to lie with the Air Force in this case, according to Rose, who said he isn’t looking to get some kind of compensation for the window. “You’re not going to take them to court and have them buy a window,” Rose said. Luckily, the window is in a spot that allows for easy replacement. At 1pm on Thursday December 8, the gypsum mine let loose with a really big boomer. I was on the west side of town and it shook me. I could see that one cracking a window in sun river. Yep, I’m thinking gypsum mine but don’t know for sure, of course. Sonic booms, which we have also had of late, are heard over a broad area. Why Sun River and not Bloomington, for example? My conspiracy theory remains firm: those are not sonic booms. They are testing bombs in the desert. Avoid living in Sun River area, if at all possible.